Please note that the enties for personnel on this page are sorted alphabetically. Buried in JONKERBOS WAR CEMETERY. Reference : 17.G.5. 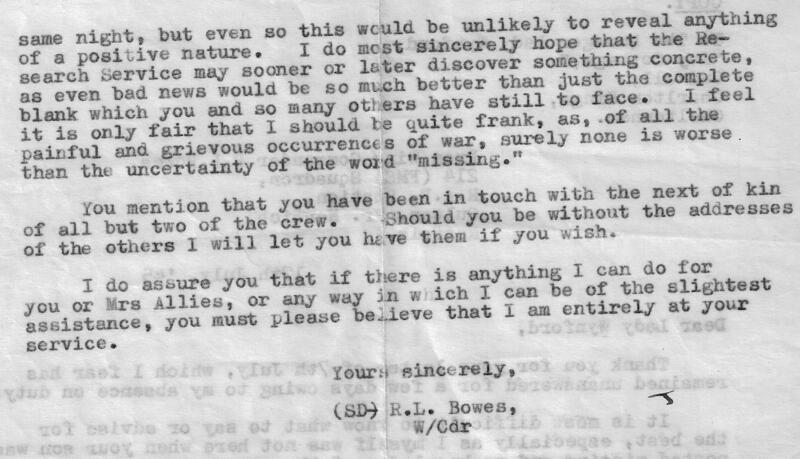 Sgt Abbott could be said to have nearly survived the crash of Fortress BU-B however, enquiries made in 1946 at Bergharen told a tragic story. It would seem that he left it a little late bailing out for although his parachute deployed the aircraft crashed down upon him. It would seem reasonable to assume that as his parachute deployed, the aircraft's slip-stream would have pulled him out of the way. The only conclusion is that bu.B was widely circling as it came down and caught up with him near the ground. 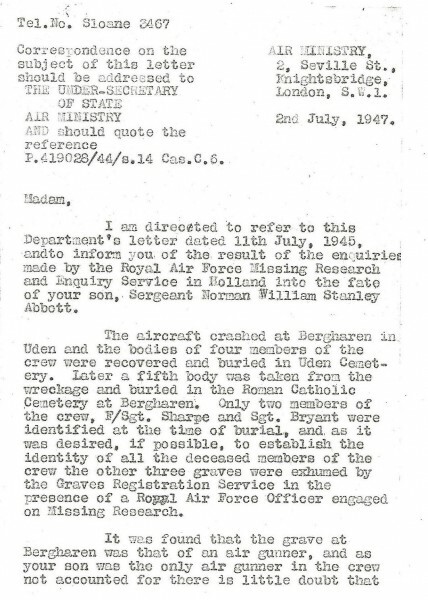 His body, buried under the wreckage, was not discovered for several days and for reasons unknown was not buried in Uden with his fallen comrades. 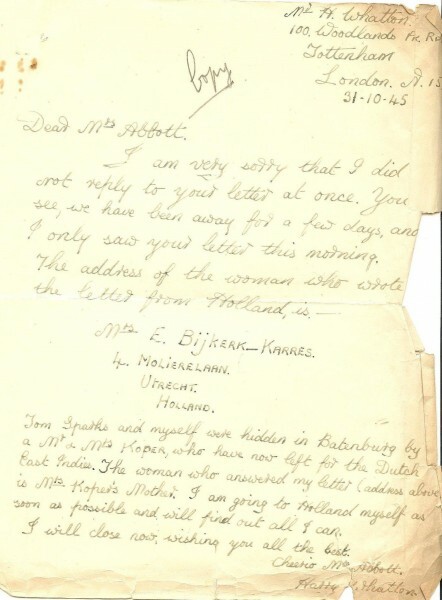 Instead on the 1st of July he was buried in the local civilian cemetery at Bergharen only to be later exhumed during the late 1940s and re-interred in the war cemetery at Jonkerbos some miles away. Norman's family ran a newsagents until the late 1950's at 23 Station Parade, Hounslow Road, Feltham, Middx. Nigel Abbott's (Nephew of Sgt Abbott) father ran the newsagent shop until 1986 (50 years). Norman was very interested in model aeroplanes and cycling. 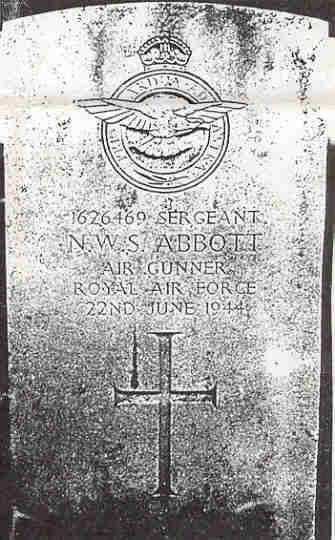 Sgt Abbott's photograph and an obituary was published in a local Feltham newspaper around the time of his death. 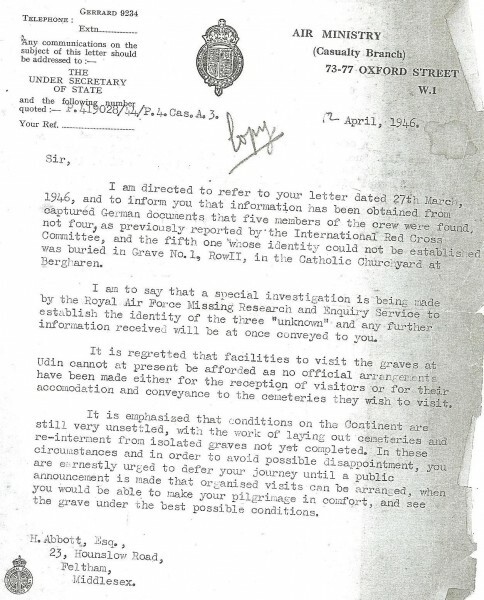 (we assumed that it would have been published about December 1944 as notification from the Red Cross did not arrive until them.) Apparently he had a brother named Harold but nothing further is known about him. 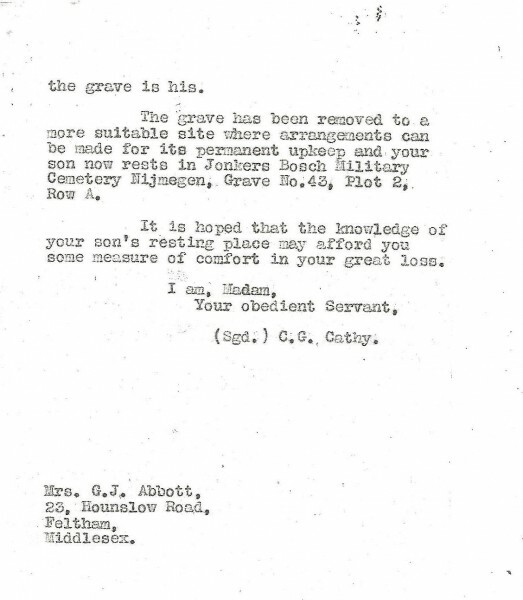 Buried in EAST FINCHLEY CEMETERY AND ST. MARYLEBONE CREMATORIUM. Reference : Sec. T5. Joint grave 97. Son of William John and Flora Abrey, of Muswell Hill. Named on the following Memorial : No. 3 Group Bomber Command Roll of Honour in the RAF Window in Ely Cathedral. Son of James and Annie Adam, of Kilsyth, Stirlingshire. 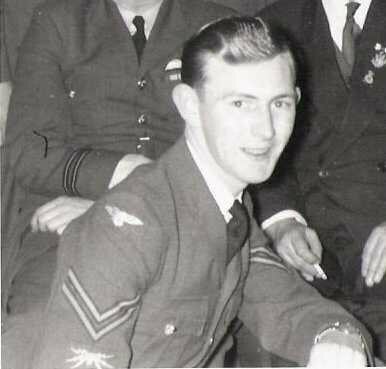 Sgt Agar is recorded as a regular crewmember with Flt/Lt Wyver and Fg/Off Keith McCall. He was from Leeds. Son of Alfred and Alice Ager of Reading, Berkshire; husband of Olive Margaret Ager, of Reading. Source : CWGC and Nightjar Newsletter Summer/Autumn 2003. Buried in CARLISLE (DALSTON ROAD) CEMETERY. Reference : Ward 16. Sec. D. Grave 37. Son of Thomas and Elizabeth Aitken, of Carlisle. Named on the following Memorial : Runnymede Memorial. Panel 140. Buried in RHEINBERG WAR CEMETERY. Reference : Coll. grave 1. D. 6-18. Alford brothers Top row left to right Henry and Leonard. Bottom row left to right Donald and Philip. There is a fifth brother Geoffrey who served in the Royal Navy who is not shown in this photograph.Taken at the family home in Winchelsea. This was the first and last time that they were all on leave together. Buried in REICHSWALD FOREST WAR CEMETERY. Reference : 3.C.18. Son of Walter Leonard and Elizabeth Anna Alford, of Winchelsea, Sussex. There is a fifth brother Geoffrey who served in the Royal Navy who is not shown in this photograph. Taken at the family home in Winchelsea. This was the first and last time that they were all on leave together. He was one of 6 children, 5 sons and one daughter of Walter Leonard Alford, and Elizabeth Anna Alford, and lived in Winchelsea, near Rye in East Sussex. 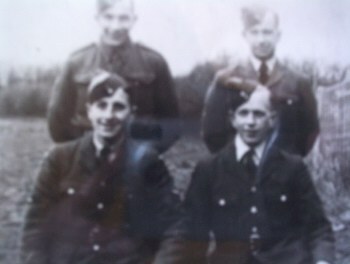 3 of his brothers, one being my father, (RAFVR LAC) served in the forces during ww2 as well. The brothers names that served were Leonard, Henry, and Philip (my father) The other brothers name was Charlie and their sisters name was Sylvia. 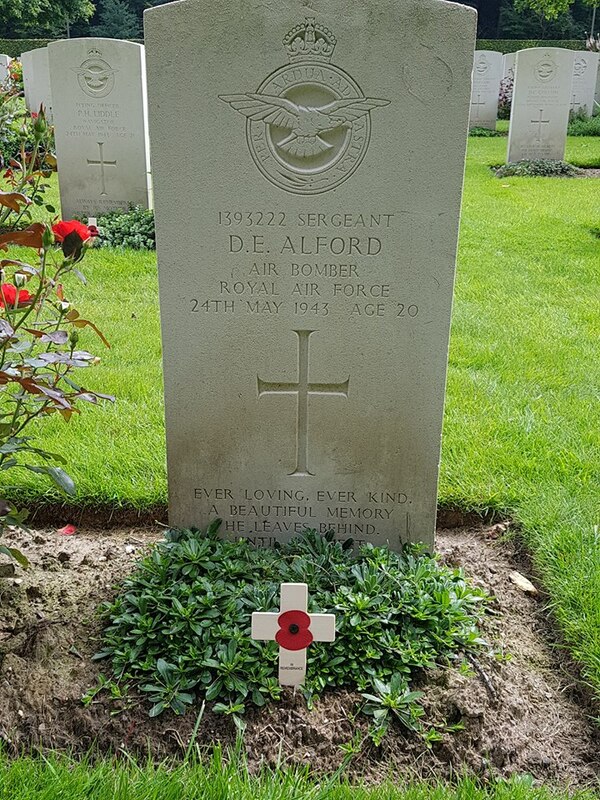 On the 23 May 1943 at 23.15, Sgt Alford and his crew in Stirling MZ261 coded BU-T lifted off from Chedburgh, in Suffolk on the nights operations. The target for the night was a bombing raid on Dortmond which included several other 214 squadron aircraft. Sadly, this was destined to be Donalds last flight. It is unknown exactly what happened, possibly flak or a nightfighter, but Sgt Alfords plane crashed at Unna about 15km ENE of Dortmund. Initially the crew was buried here but they were later taken to the Reichswald Forest War Cemetery. Martin Alford has created a Facebook group dedicated to his uncle Donald Eric Alford and the crew of MZ 261 BU-T. The link to the group is : https://www.facebook.com/groups/1440001079623580/ It is a closed group, so you have to click "join" to gain full access to the page. Buried in RHEINBERG WAR CEMETERY. Reference : 6.E.19. Son of Gilbert Ernest Allcock. 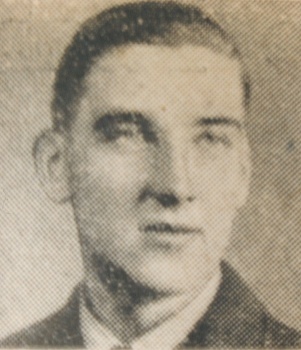 Husband of Betty Pearce. Father of Di and Jill. 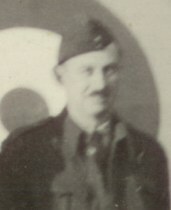 Acting Squadron Leader Gilbert Meston ALLCOCK (36215), No. 214 Squadron. This flight commander served with a transport squadron in the Middle East and since his return to this country has taken part in a number of night sorties against Germany and Italy. - One night in December, 1942, he was detailed to attack Duisberg. While over the target area his aircraft was attacked by a Junkers 88. During the ensuing engagement the bomber sustained damage and 3 members of the crew were wounded. 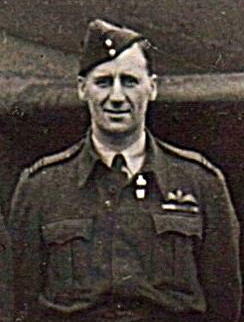 Undaunted Squadron Leader Allcock continued and bombed the target. On the return flight the port inner engine caught fire. Despite the crippled state of his aircraft, the grave possibility of the fire spreading and with both rear guns out of action, Squadron Leader Allcock flew the bomber safely back to base. This officer's courage, determination and skill set an example of the highest order. One of the most successful of the autumn 1942 attacks on Germany was the raid against Duisberg on 20 December 1942, when crews found unusually good visibility and were able to deliver a concentrated attack. Allcock was at this time serving as flight commander with No. 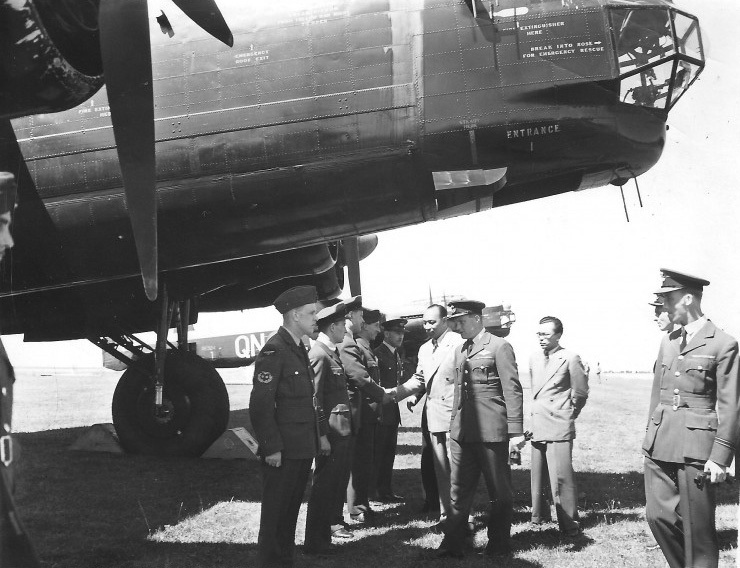 214 Squadron in Bomber Command. He had previously completed bombing missions in the Middle East and had also flown with a transport squadron, carrying troops and stores to the front line and evacuating wounded. Married Betty Pearce on 8th April 1943 at the Parish Church in Hinckley, Leicester. Her address was 3 Swans Hotel, Market Harborough Northants. This is noted on his medical boards listing, where his surname Allcock has been crossed out and replaced with Attwood. Selected for extended service commission. 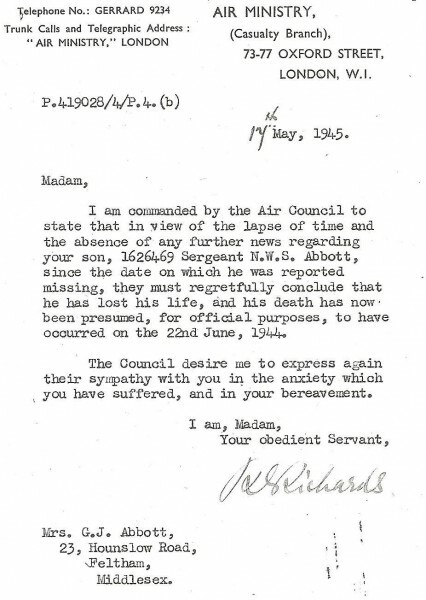 Commission relinqueshed 1 July 1959, retaining the rank of Squadron Leader. He survived the war and moved back to New Zealand when Philip and Steve Trease's mother was very young, so she never got to know him or know anything about out his service career. 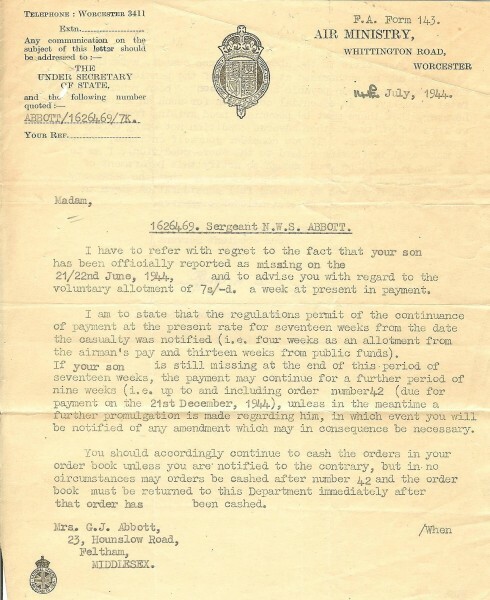 Notice is hereby given that GILBERT MESTON ATTWOOD, D.F.C. Of Flintstones Brockenhurst Road, South Ascot, Berkshire, a citizen of the United Kingdom and Colonies by birth lately called Gilbert Meston Allcock, has assumed on behalf of himself, his wife and his two infant daughters Joanne and Karen and intends henceforth upon all occasions and at all times to sign and use and to be called and known by the name of Attwood in lieu of and in substitution for their former name of Allcock and that such change of name is formally declared and evidenced by a Deed under his hand and seal dated the 29th day of September 1964, duly executed and attested and enrolled in the Central Office of the Supreme Court of Judicature on the 29th day of October 1964. He remarried when he returned to New Zealand and is believed to have died in the mid 1980's. Buried in SAGE WAR CEMETERY. Reference : 1. D. 13. Son of Herbert George and Alice Mary Allen, of Foulsham, Norfolk. Was rescued from aircraft when it came down in the North Sea off the Norfolk coast. Named on the following Memorial : Runnymede Memorial. Panel 265. William married Kathleen Marjorie Harman on 16 December 1939 at Newton Abbot Register Office, Devon. Joined 214 Squadron from No 5 BATF in May 1942 until August 1942. Joined 214 Squadron again from 1699 Flt on 6 February 1945. First operation was on 7 February 1945. 12 Fortress operations were flown from February 1945 to March 1945. These are actual operational take offs, but do not disregard aborted operations, early returns etc. Named on the following Memorial : RUNNYMEDE MEMORIAL Panel 181. 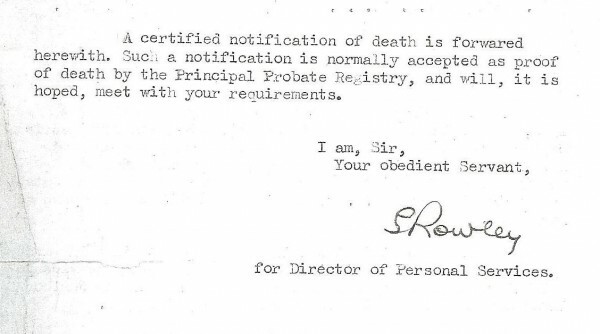 Son of Louis N. and Lucy E. Amirault, of Pubnico, Nova Scotia, Canada. Buried in HANOVER WAR CEMETERY. Reference : 10. B. 8. Son of John Wilfred and Hannah Bowman Anderson, of Fulwell, Sunderland, Co. Durham. Source : Eric Matthews relative of Eric Greenhalgh and CWGC. Enlisted on 22 May 1952. Demobed on 17 March 1965. Served on 214 Squadron twice, firstly from February 1959 to October 1962 and then October 1964 to 17 March 1965. SEE CREWS AND LOSSES for Wellington Mark I C X9884 BU-? Nicola Jones names him as Sgt Critchley. He comes from Warrington, UK. I was wondering if you have any information regarding Sgt. F. (Frank?) Archer. 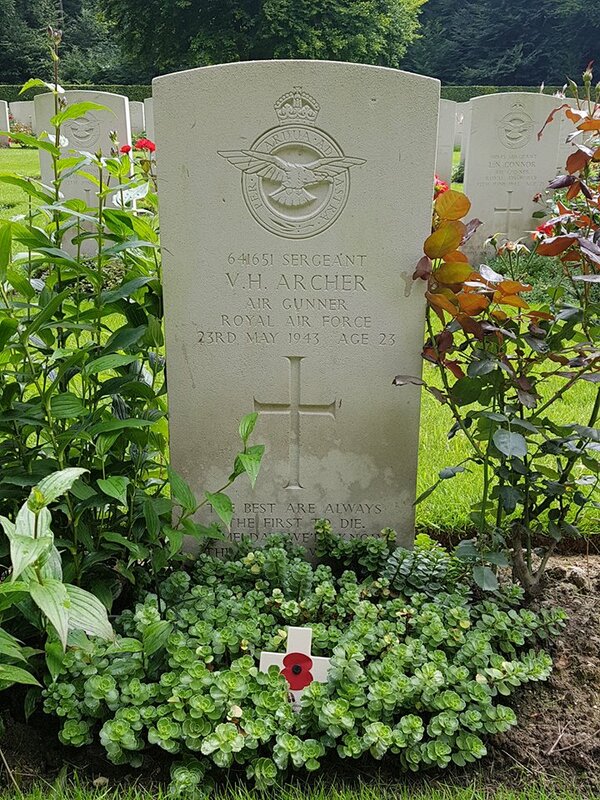 He was a gunner with 214 Squadron during 1942-3. 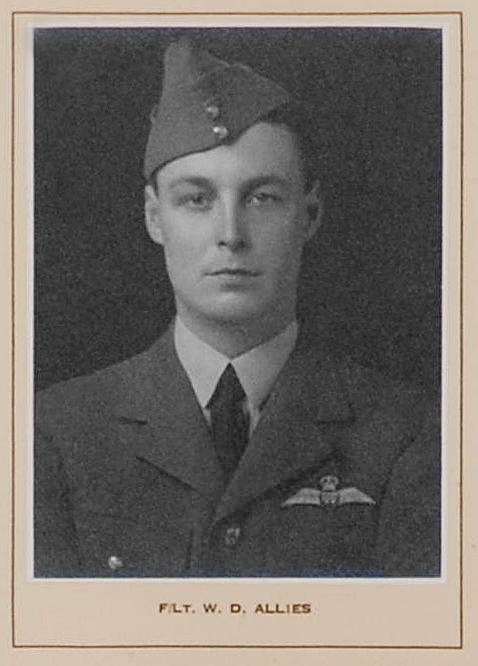 He served with Lawrence Carr on the majority of his missions but there is very little information about him anywhere, which is rather surprising due to the number of missions that he took part in overall. 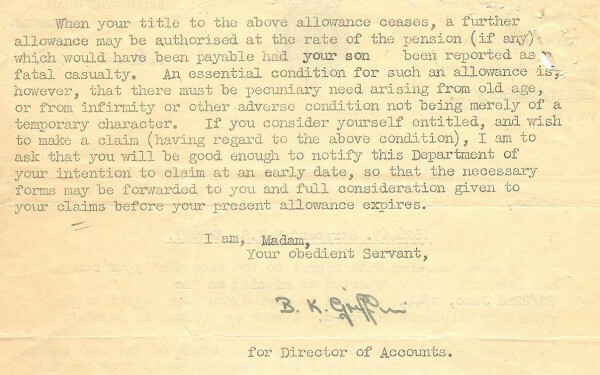 Can anyone help with information please? Buried in REICHSWALD FOREST WAR CEMETERY. Reference : 3. D. 2. On the 23 May 1943 at 23.15, Stirling MZ261 coded BU-T lifted off from Chedburgh, in Suffolk on the nights operations. The target for the night was a bombing raid on Dortmond which included several other 214 squadron aircraft. This was destined to be their last flight. It is unknown exactly what happened, possibly flak or a nightfighter, but Stirling MZ261 crashed at Unna about 15km ENE of Dortmund. Initially the crew were buried here but they were later taken re-interred in the Reichswald Forest War Cemetery. 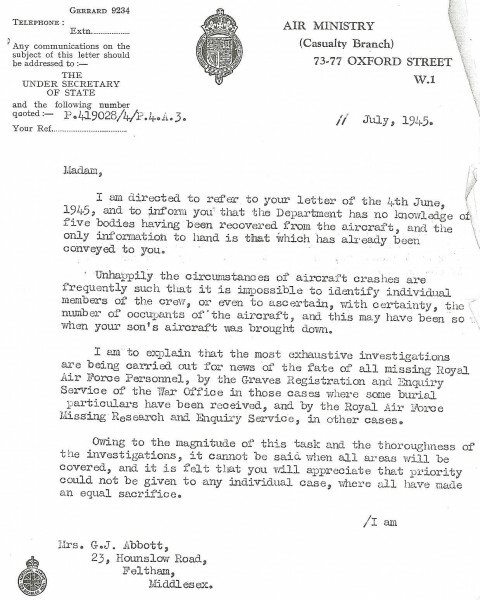 Previously flew Stirlings with 214 Squadron. 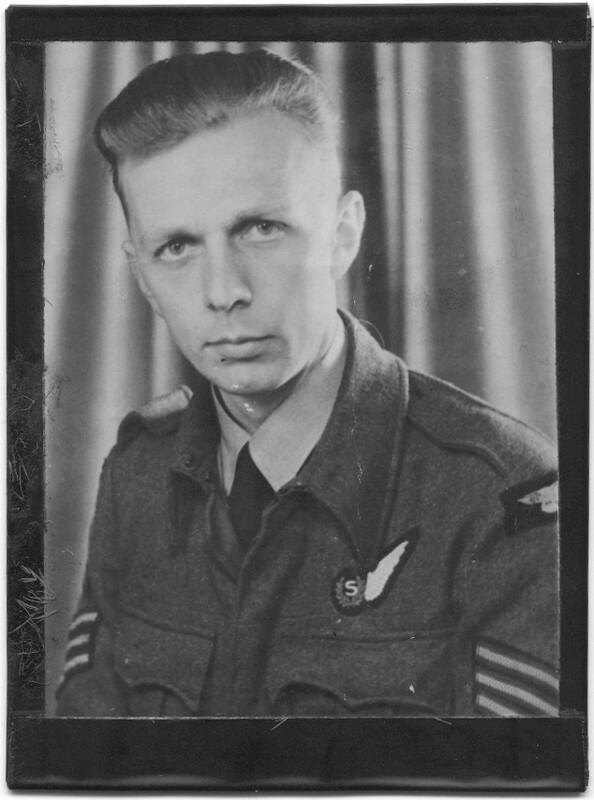 July 1944 WO Archibald's crew flew on a daylight raid to St Leu 'Desserent when the gunners shot down FW190. 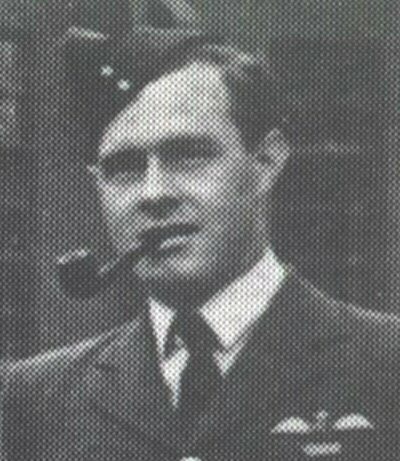 Crew included Flt/Lt Donald MacGilchrist. Son of Donald Robert and Florence Stone Armstrong; husband of Margery Garton Armstrong, of Sandringham, Victoria, Australia. Buried in CAMBRIDGE CITY CEMETERY. Reference : Grave 15352. Son of Charles Edwin Armstrong and of Agnes Swinbourne Armstrong (nee Handford), of Geraldine, South Canterbury, New Zealand. 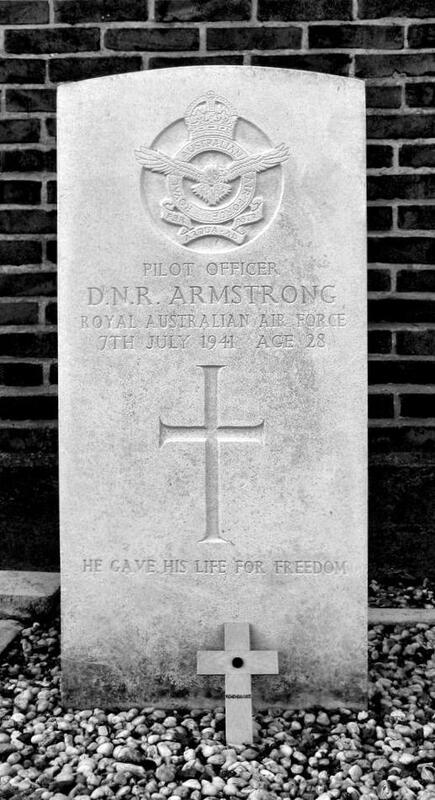 FS Armstrong was engaged to Audrey Trotman (nicknamed 'Terry' by FS Armstrong) when he died. Audrey used to call him "Bob". Kathryn Graham believes he had at least one sister called Barbara who visited her mum's new family in Glasgow many years later. Does anyone have any further information please? Named on the following Memorial : RUNNYMEDE MEMORIAL Panel 140. Son of George and Lily Arm Armsworth, of Goodmayes, Essex. 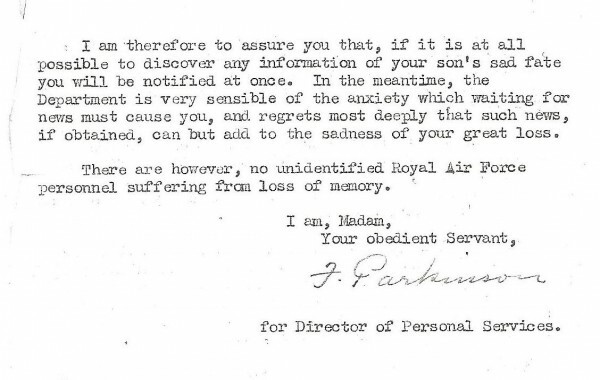 Son of Frank Arthur and Doris Eva Ashman, of Bath, Somerset. Buried in CAMBRIDGE CITY CEMETERY. Reference : Grave 15351. Son of Abram Ashworth and of Jessie Mitchell Ashworth (nee McGowan), of Sefton, North Canterbury, New Zealand. Taken during a visit of the Sultan of Jahore involving a presentation of silver for 214 (FMS) Sqn. Des Athol is nearest the camera with Fl Lts Myers (?) and Marsh (?) next to skipper Gerry Moor. This was taken prior to Des's departure to RAF Shawbury on a Spec "N" course. The Sqn CO at the time was a Sqn Ldr Smith. Named on the following Memorial : RUNNYMEDE MEMORIAL Panel 135. Son of John and Isabella Atkinson, of Wheatley Hill, Co. Durham. SEE CREWS AND LOSSES for Wellington Mark I C DV768 BU-? Buried in KIEL WAR CEMETERY. Reference : 5. C. 2. Husband of Mary Kathleen Avent, of Beckenham, Kent. Ronald was captured and taken POW, near Beauvais, northern France. 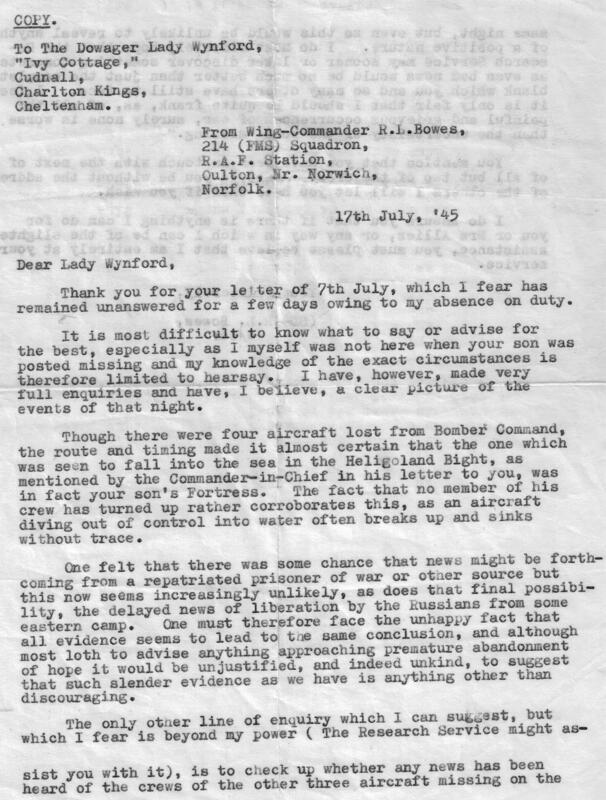 There is a note on Ronald's POW papers that "whilst asked to dig out a tractor from a snow drift with a pitch fork, all four tyres were 'accidentally' punctured".